Bogotá, the capital of Colombia: said to be one of the most dangerous cities in the world, and the base from which Rolf Abderhalden and Mapa Teatro have been continuing their long explorations of the possibilities of theatre. Their ideas are always born out of the situation of the city, while also striving to return something back to the city through theatrical media. This performance is set in the legendary central Bogotá slum of El Cartucho. Literally meaning “cartridge”, the district functioned as a kind of evacuation zone for drug-dealers, prostitutes, and murderers to roam free. On four screens the audience sees footage of this chaotic, lawless neighborhood being dramatically demolished and cleaned up as part of an urban development project, along with the emotional testimonies of the people living there. What emerges is an almost single organism. Premiered at the San Francisco Museum of Modern Art in 2013 with the former mayor who implemented the development project as well as the last residents of El Cartucho, this lecture performance is based on Heiner Müller’s The Liberation of Prometheus. As Tokyo undergoes immense development in the run-up to the 2020 Olympic Games, this very timely performance poses challenging questions for Japanese audiences. 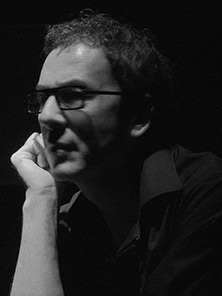 Born in 1956 in Colombia, Rolf Abderhalden is one of the foremost directors, artists and theatre theorists in South and Central America. 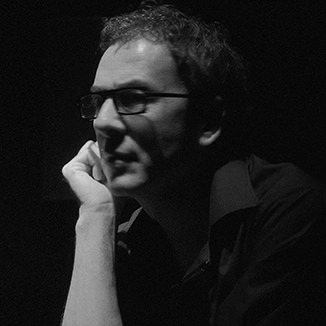 After studying at the L’École Internationale de Théâtre Jacques Lecoq, he founded Mapa Teatro Laboratorio de Artistas (Mapa Teatro Laboratory of Artists) in 1984 with his sisters. Since 2000 the group has also operated out of the eponymous theatre in downtown Bogotá. Abderhalden continues to create original cartographic renderings of regional and global questions through a variety of media (theatre, opera, video, radio, installation, performance, urban projects), based on live art theory and praxis. His internationally acclaimed work has been presented at major festivals across the world, including the Festival d’Avignon and the Wiener Festwochen. He is a leading figure in the Central and South American arts scene also as an organizer of creative platforms such as Experimenta sur, an international festival held at Mapa Teatro. He currently resides in Bogotá.